Champagne Vouette et Sorbée is one of the star growers in the Aube, in the south of the Champagne region. Bernard Gautherot was persuaded to begin making his own wines by Selosse back in 2001, and the first release was in 2004. Based in Buxières-sur-Arce, he has 5.5 hectares in the Côte des Bar, which are farmed biodynamically (certified by Demeter since 1998). Average vine age is over 20 years, and the soils are mostly Kimmeridgian marl. All the base wines are fermented in oak. 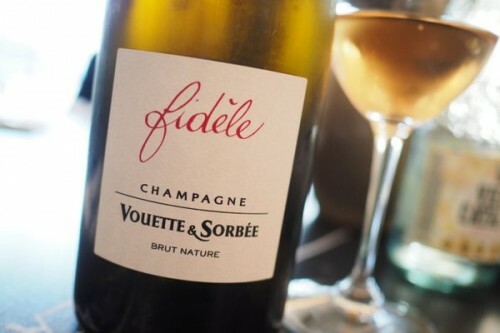 This wine, Fidèle, is their largest production, and like all the wines is based on a single year, with less than 10% reserve wine. It’s Pinot Noir, and first of all it is a wine; it’s a Champagne second. I found this wine on the list at the brill Westerns Laundry, and really enjoyed it.